When I try and purchase the software, it ask me for a coupon with the following message "You must enter a valid coupon code." Please assist in resolving this. 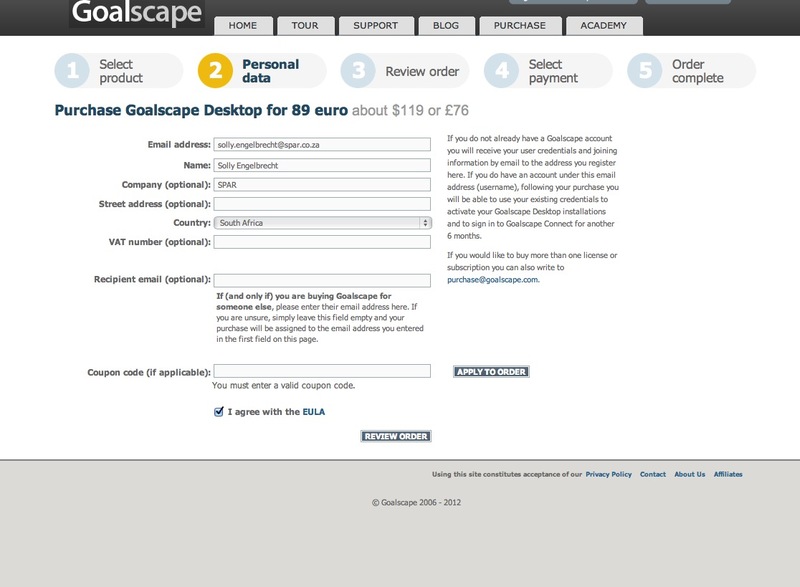 From the error message you describe and the screenshot you provided, it appears that you are clicking the 'Apply To Order' button when the Coupon field is empty. Please try again and simply click the 'Review Order' button at the foot of the page. If it still fails (ie you cannot proceed to the next stage ('Review Order') – *whether or not* you have clicked the 'Apply To Order' button – please post again. Richard Parslow closed this discussion on 13 Sep, 2013 06:48 PM.